Whether you have an out-of-state rental applicant, are promoting a new development, or have no units available to show, selling potential applicants on a unit they’ve never seen is tricky. Applicants still need a visual sense of the space, an understanding of how their lifestyle could change based on your amenities or neighborhood, and establish a personal connection with you. 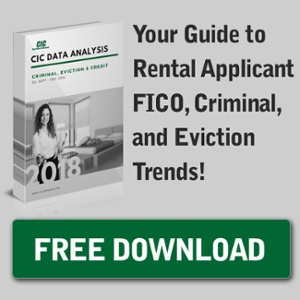 By using some of these creative ways, you’ll be able to successfully rent out a vacancy the applicants have never seen before. When your applicants can’t see your property in person, it’s important to supplement with visuals. This helps your future renters imagine how they’ll be living in the space, from where they’ll put their furniture to if the space is safe enough for their newly walking toddler. The visual resources you can use are endless. Start with providing pictures of the unit (or a similar unit) and the floorplan. If the applicants are out-of-town and the unit is vacant, get a little personal and arrange a Facetime or Skype call. If they’re unavailable, stick to creating a standard video, or consider experimenting with 3D floorplan renderings or virtual reality. The sky’s the limit when it comes to supplemental property visuals. Even if you can’t show the unit to the interested applicant, invite them to tour the property and surrounding neighborhood. This is a great way to give your rental applicant a feel for the property and the amenities you provide (plus meet in person). While this might not always be possible, if you have another vacancy with a similar layout, tour it and reference the differences in real time. If you’re a new development, that doesn’t mean you shouldn’t invite your potential prospects as well. Let them see the development site (if permitted) and provide them with a map of the surrounding area with some recommendations catered to their interests (like coffee shops, grocery stores, parks and schools, etc.). While you aren’t able to showcase how they’ll be able to physically operate within the unit, you can still give them a glimpse into how their lifestyle could change by living in a property near their personal interests. In an age where Craigslist rental scams are common, it’s important to provide a little extra transparency when trying to sell to applicants on a unit they’ve never seen. When talking to an interested prospect online, provide materials to reinforce the information you’ve previously discussed (like a marketing packet with pictures, amenity information, etc.). Arrange to meet, video, or voice call in person to start that property manager-resident relationship off. When in doubt, be professional and reinforce your property’s brand with your actions. By implementing a few of these things, you’ll establish a one-to-one connection with your interested applicants and convince them to choose your property over the competition. Whether your interested prospects decide to rent from your property or not, be sure to keep customer service in the back of your mind. Even if your efforts didn’t convince them this time, they could come running back when a viewable unit is available. Do you have any you sell a rental applicant on a property they've never seen?